Lots of lessons learned. And a bottle of bourbon in a desk drawer. Last month, Renew Financial celebrated its 10th anniversary. Much of the celebration centered on our successes – the 91,000 homes we’ve helped make safer and more efficient, the $1.5 billion in financed projects, the 2.5 million metric tons of GHG’s our projects will reduce. I am incredibly proud of what we’ve accomplished. We set out to change the world, one home at a time. And that change is happening. How can we quantify the change we’ve made? This is one way: what if we’d decided not to start a business but instead to plant trees to absorb carbon? Well, we would have needed to plant 63 million trees in order to achieve the same level of greenhouse gas emission reduction that Renew Financial has achieved since 2008. Imagine a healthy forest that is 1640 square miles – 500 square miles larger than Yosemite National Park. We may not have had to dig 63 million little holes in the ground, but it hasn’t always been easy. We’ve learned a lot of big lessons along the way. This seemed like a good moment to share some of those lessons. All of this started in Berkeley, CA when I first floated the idea of using assessment district financing for solar and energy efficiency. 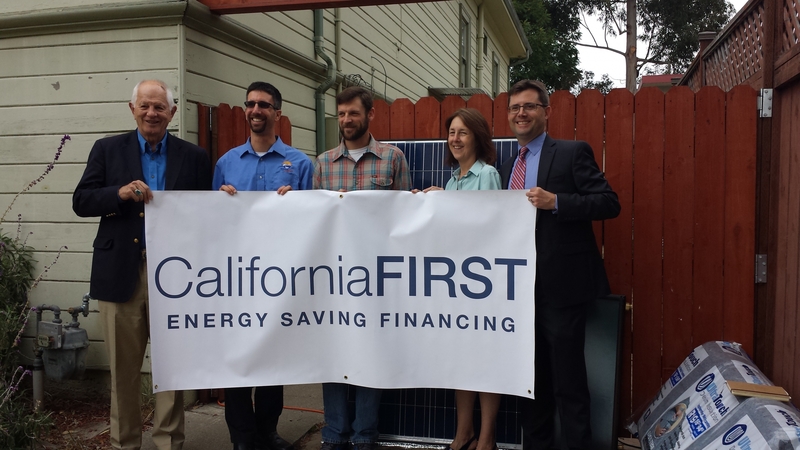 Renew Financial partnered with Berkeley to run the city’s pilot program. We launched in November of 2008 and sold out of all the available slots in just nine minutes, proving that PACE would not only work but that people would use it. Clean energy choice does not have to be partisan. Politics may be ugly at times, but people on both sides of the partisan divide still want to support good ideas that empower property owners. We helped pass the very first statewide PACE laws in 2008 – signed by both Republican and Democratic governors. The broad support for PACE financing continues through 2018 with the passage of laws in Massachusetts and Pennsylvania bringing the total number of states with PACE laws to 35. For decades, energy efficiency gurus have pushed for energy audits by qualified professionals as a way to help homeowners figure out the best way to reduce their energy use. The problem? The word “audit” has deeply negative connotations for consumers – it makes people think of IRS agents. We’ve even gone as far as to test this in focus groups and surveys. If there is one lesson I wish everyone would learn it is that no one likes an audit. How about we all get an “energy independence roadmap” instead? PACE solves a problem, but for most people it isn’t excessive energy use. It’s cold showers or a leaky roof. People like energy efficiency and they want to be more efficient, but that alone will not motivate a large home improvement project that costs thousands of dollars. Instead, homeowners generally will do energy efficiency improvements when motivated by something else – a broken HVAC, a leaky roof, etc. Our job is to help homeowners who need to make an improvement to do it the right way. Keep a bottle of bourbon in the desk drawer. We would not have been successful without trust and belief. For 10 years, the amazing team at Renew Financial believed in each other. We believed in PACE. We believed in helping families. We believed that what we were doing was important and necessary. And we believed that almost any problem can be solved when we gather together, break out the bottle of emergency bourbon I keep in my desk drawer, and start brainstorming at the white board. I look forward to the next 10 years. I know we will have great success. I also know we’ll have some big challenges. And, hey, if things don’t work out. I’ll grab a shovel and get started on that forest.